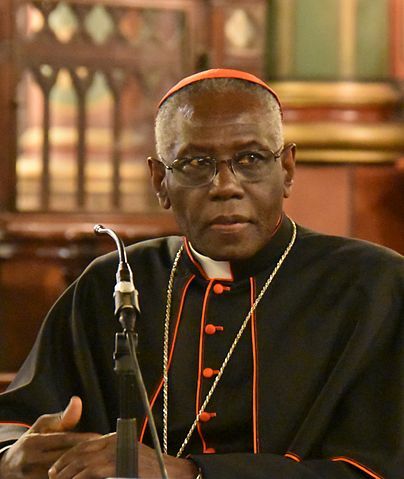 Robert Sarah (born 15 June 1945) is a Guinean Cardinal prelate of the Catholic Church. A Cardinal since 20 November 2010, he was appointed prefect of the Congregation for Divine Worship and the Discipline of the Sacraments by Pope Francis on 23 November 2014. He previously served as secretary of the Congregation for the Evangelization of Peoples under Pope John Paul II, and president of the Pontifical Council Cor Unum under Pope Benedict XVI.